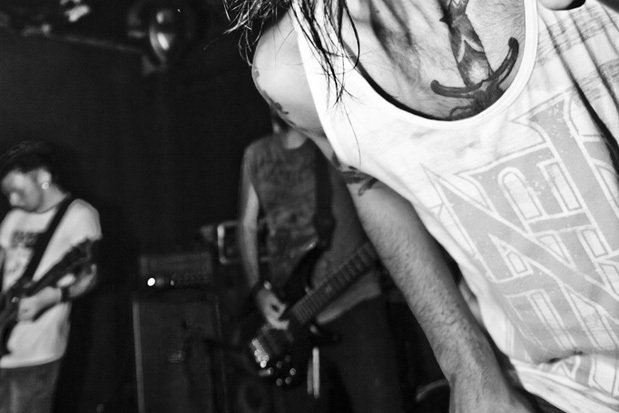 UK brand Honour Over Glory drop a new vest today, featuring a pretty intricate typography based design. The vest features Honour Over Glory text, linked together in a fairly complex fashion. I’ve been sat here for a good few minutes trying to figure out if all the letters of the brands name are actually in there somewhere, it’s definitely a bit of a brain bender. Huge props to designer Ash Jordan for coming up with something so intricate. 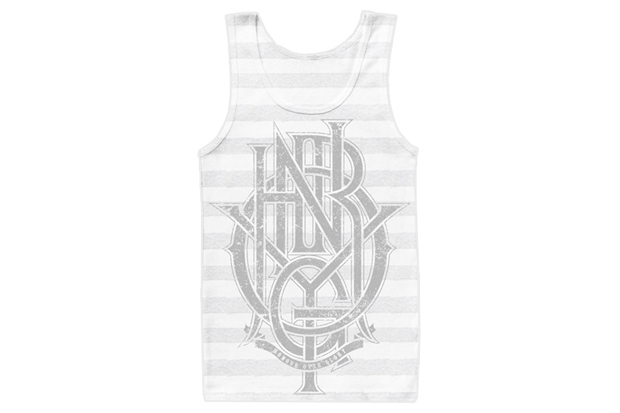 The ‘Obey’ vest graphic comes printed on a grey and white striped American Apparel tank, printed in grey ink. The vest is available now along with a bunch of other T-shirts, vests and sweatshirts from Honour Over Glory for the very reasonable price of £14.99. If you’re going in, make sure you go big – XL is the only way! 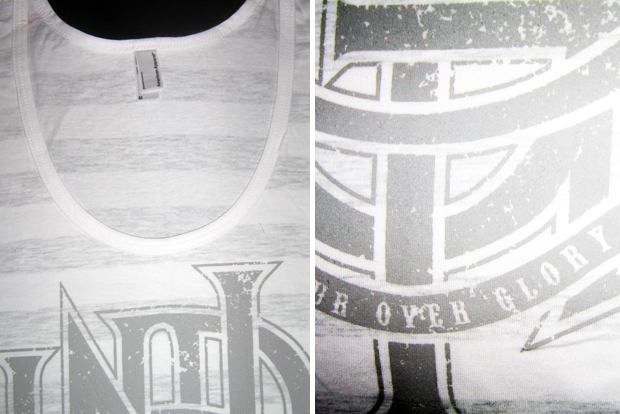 Check out a few shots of the vest below.